Every guide to becoming an author says if you don’t have an agent you’ve little chance of being taken on by a publisher. Very few books get taken off the slush pile and make it into print. 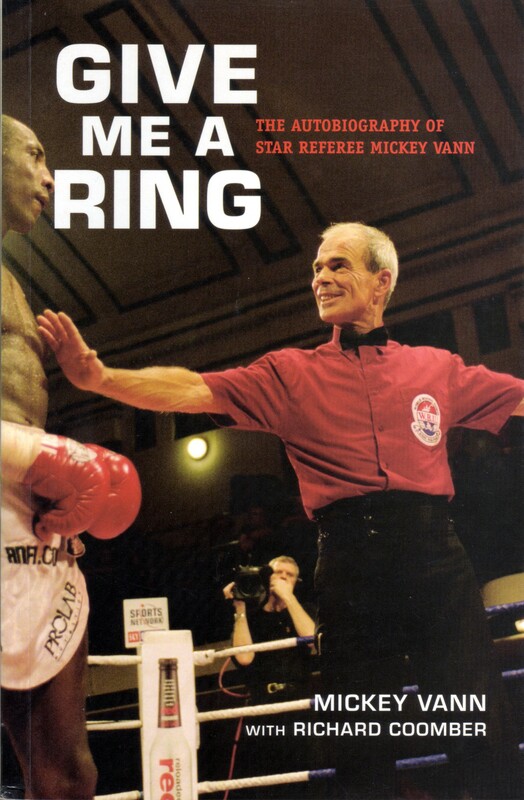 That appeared to be true after I sent out copies of a manuscript I’d put together of boxing referee Mickey Vann’s life story to a number of publishers. I was disappointed – it was a hell of a tale and I could only think that my writing had let it down. I was thinking of taking a flyer and publishing it myself. But one day, as I drove down the M1 to visit my family, the phone rang. It was Mainstream. ‘Is that Mickey Vann book still available? If so we’d like to publish it as a paperback.’ I immediately accepted the modest advance on Mickey’s behalf – the thought of negotiating never entered my head. Maybe that’s why you need an agent. Nevertheless, a few months later I was a published author. That was 2003 and I still receive occasional – and admittedly small these days – royalties. Would I? More importantly, could I? There was only one way to find out. The thought of getting 80-90,000 words down was pretty daunting but what if I thought of it as 15 long features? I could manage that. So we sat with a tape recorder over many weeks and Mickey told me his amazing story – The son of showman Hal Denver, who once threw knives at John Major’s mum, and the grandson of ‘The Silver King’ who included the Elephant Man in his sideshows, Mickey was raised in fairgrounds, often roped in to appear as the Giraffe Necked Woman. He left home at 14 and the next few tumultuous years were spent scraping a living, becoming a journeyman boxer and using his dashing good looks to attract as many girls as he could. It wasn’t until he quit fighting and took up refereeing that Mickey finally found the thing that made him stand out from the crowd. He has taken charge of some classic fights and is one of the great characters of boxing.